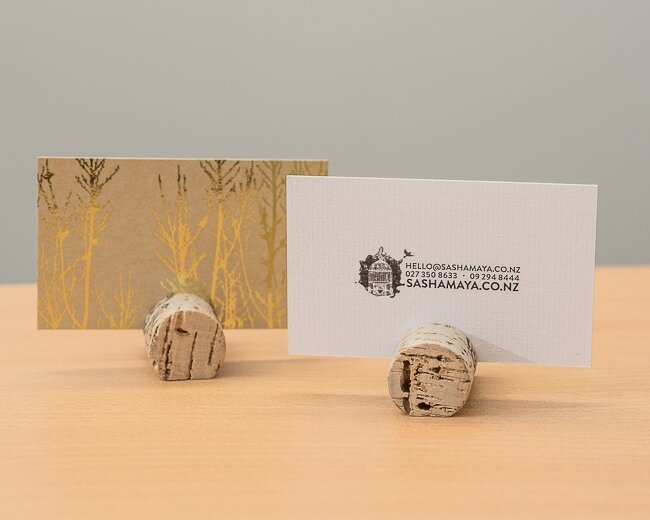 Sasha Maya approached us to create something a little different for her business cards. She specifically wanted to use foil and a kraft stock for her cards although she only needed a small run. 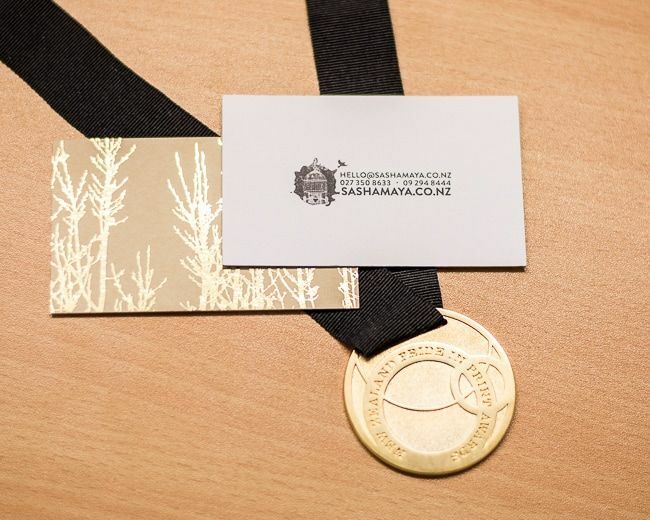 We looked at foil stamping initially as this process is better for printing onto rough surfaces however this option was too expensive for a short run. ​We only have one kraft stock that we use for our digital foil called prado kraft. this stock is relatively smooth allowing for the digital foil to work but is not especially heavy for a business card. This lead us to the option of duplex gluing and we settled on a laid stock for the front side to bring in that texture we didn't have in the prado kraft and gave us a nice heavy card for the final product. Sasha was blown away with the result when we sent it out to her and clearly the judges at the pride in Print awards were impressed too.